After Labor Day weekend, I and my staff at the Huntingdon County Visitors Bureau hear this a lot from friends, family, neighbors, and other community acquaintances: “Now that summer’s over, you get to relax. Right?” While it is true that the part of our job that includes serving visitors on-site at the Raystown Lake Region Visitors Center does slow down a bit after Labor Day, we still expect to serve around 3,500 visitors over the counter during September and October (compared to just over 10,000 during July and August). But visitor services is far from all that we do. In the late summer and fall, the focus of our staff shifts partially from serving visitors to recruiting businesses into the association, planning and selling advertising for the 2013 Huntingdon County/Raystown Lake Region Visitors Guide, updating the look, feel and functionality of our website at Raystown.org, and mapping out strategies for advertising and promotion to attract new visitors in 2013. September and October weekends are also jam-packed with events in the Raystown Lake Region. Starting this weekend with the Greenwood Furnace Folk Gathering, and continuing with fantastic festivals, craft fairs, historic interpretations, harvest activities, and Hauntingdon events, and more through Halloween! This is prime-time to come visit us. The water and daytime temperatures are still warm enough for water sports, and the nights are cool enough for cuddling up by a campfire or fireplace, and getting a good night’s sleep, and best of all, if you can make it mid-week, you’ll feel like the entire 8,300 acre Raystown Lake belongs to you and you alone! 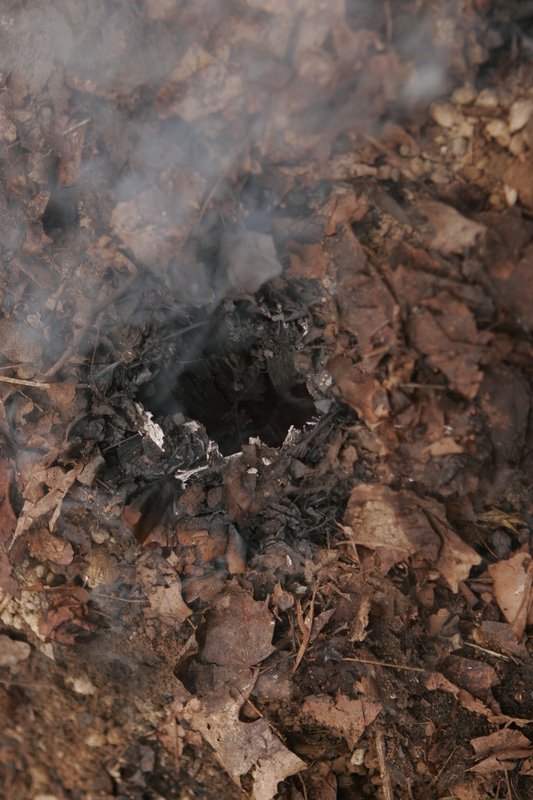 We circle the smoking cone, looking for “the eye of the fire-” a gaping hole with intense heat pouring out. Inside the dirt and duff covered pile of stacked logs, the charcoal “pit,” the temperature soars, turning the wood into charcoal. The hole or “mull” glows in the dark night and when we poke a stick in, there is an empty space, 12 inches deep. As the wood shrinks, it collapses in. Mulls tend to be on the windward side. 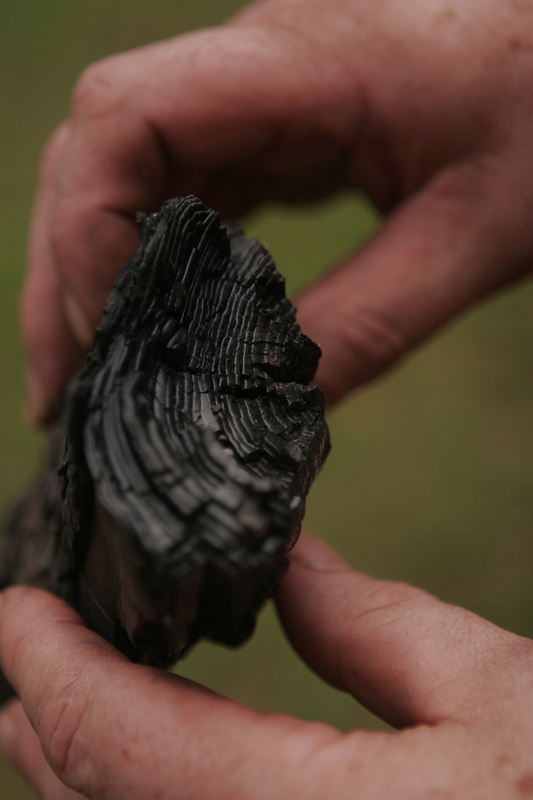 Before oxygen can get in and burn up the wood inside at a rapid rate, we need to close it up and fast. Publisher’s note: This article appeared in the 2006 edition of the Raystown Lake Region/Huntingdon County Visitors Guide. If you’re a day-hiker, a trail runner, a long distance backpacker, or you just like to take a short stroll in the woods once in a while, this should interest you. As you may know, the Standing Stone Trail actually “links” the Mid State Trail at Greenwood Furnace State Park to the Tuscarora Trail just north of Cowan’s Gap State Park-about 72 miles of foot trail through some of the most beautiful country in PA. You may have walked the 1,000 Steps near Mt.Union, a major feature in about the center of the trail. Some important changes are in the mill that will enhance both the physical status of the Standing Stone Trail and its importance on a national level. Currently, a study of the entire trail is being conducted by Tom Scully, a Landscape Architect with much trail experience, that will establish a master plan for the trace of the trail to get it off roads, pipe/electric lines and into the woods. Additionally, a major relocation of the trail south of Three Springs will overcome a good deal of road walking due to landowners issues. So, the Trail’s future is bright but there is more to come. Two groups have formed, one in the South and the other in the North (the Standing Stone Trail is part of this one) with the aim of developing another long distance trail in the Eastern US. This trail will connect existing trials from Florida to New York State. Suggested some years ago as a Western Appalachian Alternative (WAA) to the Appalachian National Scenic Trail, actions are being taken to bring it into existence. A group has formed and met and even made suggestions to the name: The Appalachian Crest Trail and Great Eastern Passage are a few of them. In the South, significant land has been purchased to connect the Alabama and Georgia Pinhouti trails. The Florida National Scenic Trail has joined the group. In the North, the Mid-State Trial is being extended to the New York border. In NY, the Finger Lakes (joined to the MST) and North Country Trials are participants and it is proposed that the trail continue north to Lake Champlain. So it will be a trail from Florida to New York, but also, it will retain the characteristic of each individual trail. Some will be multi-use and others foot traffic only. But all will adhere to certain basic standards and attempt to accommodate long distance hikers with shelters, campsites, springs, privies, and side trails to significant features. Maps and guide books will be printed and sold to users in the next few years. Now is the chance for you to get involved in all these activities so important to the future of hiking significant foot trails in our great state. You can best participate by being a member of a trail maintaining club such as the Standing Stone Trail Hiking Club. Club members give of their time and treasure to build and maintain the trails year ’round. To get started on doing your part, a sort of payback for all the tails you’ve hiked without ever doing any trail care, check out our website at: http://www.hike-sst.org/ – our club activities are shown on the schedule. There are also links to other trail organizations which are helpful in planning a hike. Raystown Lake Region – did you know?